Back when they were popular, flight sims needed some pretty hefty hardware to get them running. But I can't remember any of them ever having "120 dedicated graphics cards" under the "required" section on the side of the box. All that processing power gets you 10,000 "entities" on screen at once, realistic explosion and destruction effects and "20-40 visual acuity", which is apparently as close to photo-realism as current projector technology can manage in a situation like this. If it didn't cost millions and millions of dollars, I'd already have one on order. 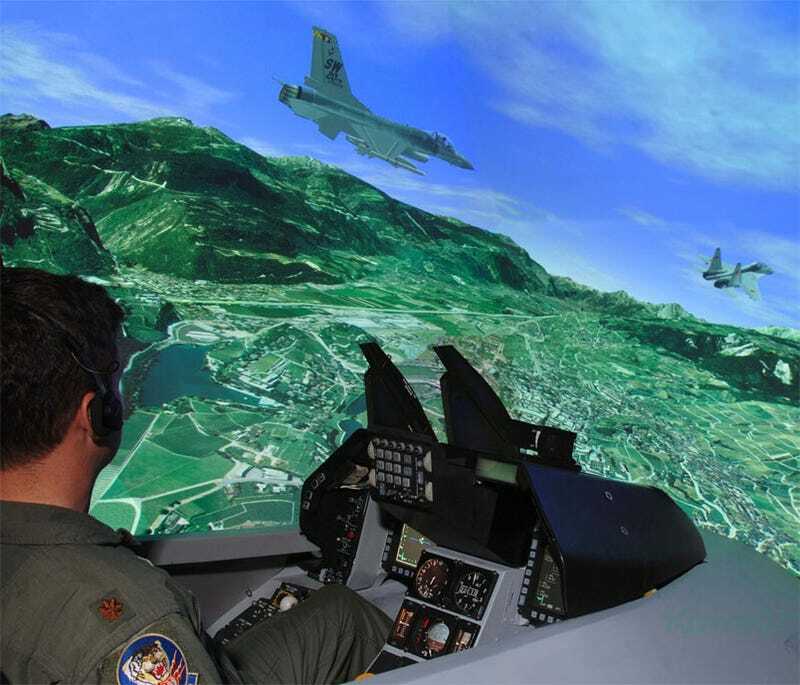 You can check out a clip of the sim in action below, courtesy of the Star Telegram.